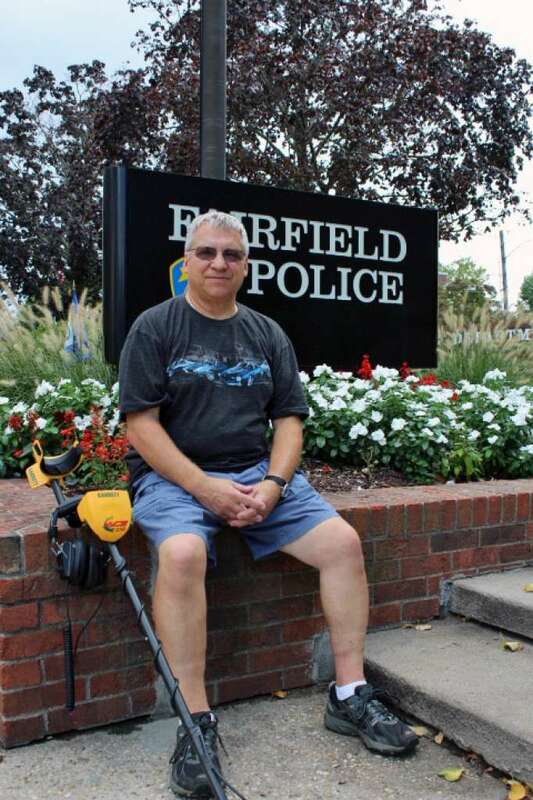 Officer Tony Krushinski works in the patrol division at the Fairfield police department, but he used some detective skills recently by tracking down the owner of a class ring lost more than 30 years ago. Krushinski was walking along Southport beach with his metal detector. 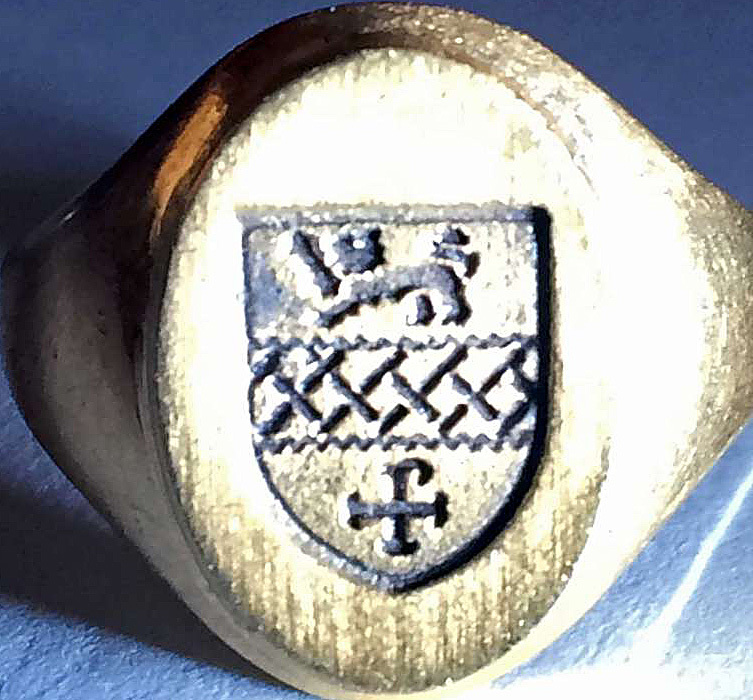 Buried under the sand, he discovered a gold ring with a crest and a name engraved inside it. 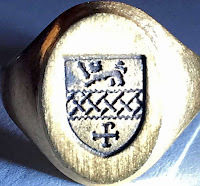 Krushinski began his search online for the owner of the ring, looking at the crests used by colleges like Fairfield, Sacred Heart and Fordham universities. None matched the ring, which did not have a school name on it. He turned to a metal-detecting website, posting a photo of the 14 karat gold ring, looking for help from fellow enthusiasts. “Somebody said, ‘Try Kent School,’ and sure enough, it matched,” Krushinski said. He called the school and gave them the name engraved on the inside of the ring — Andrea Mott — and the year, 1981. The school sent Krushinski’s contact information to Andrea Mott, who is now Andrea Sievert and living in Woodbury, N.Y.
Sievert said she cannot believe Krushinski went to such lengths to find the ring’s owner, which Krushinski said was in surprisingly good condition for having been lost on the beach for three decades. Krushinski put the ring in the mail last weekend, and on Tuesday, Sievert said she was eagerly awaiting its arrival. The class ring is probably the best of his finds, Krushinski said. “I’ve also found a Tiffany ring and a woman’s watch, but mostly loose change,” he said.